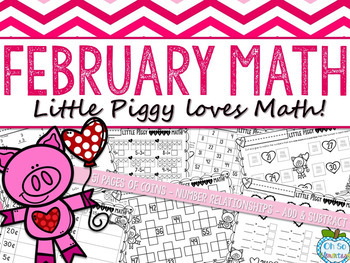 This Little Piggy LOVES Math! While I was at it, I put together a few more math activities we are enjoying in kinder and first like coin recognition, drawing and counting coins, before & after numbers (ones and tens versions! 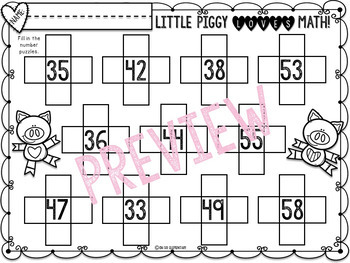 ), 100s chart missing numbers, fact families, addition & subtraction fluency, etc. Check out the preview for more info! 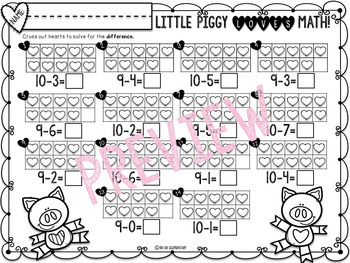 I know my kids are going to be super surprised when they see these fun pages, and I hope you enjoy using them in your classroom as well! Don't forget to leave me some fun feedback. I'd love to hear how you are using them with your students! Stop by and see my other products! for more freebies and ideas for your classroom!